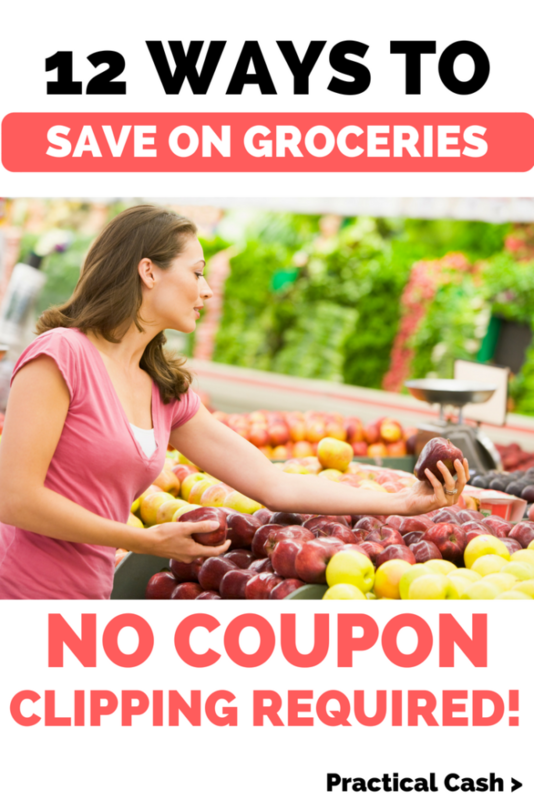 Do you want to save money on groceries? When my husband and I were learning how to be debt free, saving money on groceries was one of the first budget categories we addressed. After all, it’s easy to cut out non-essential categories from your budget (eating out, I’m looking at you) if you have no money. But you HAVE to do food shopping at some point, unless you’re OK with starving. Learning how to save while buying groceries is a key strategy in sticking to your frugal grocery budget. Buy specialty ingredients and bulk buys online. Get the store savings card to shop and save. Download your grocery store’s smartphone app. Use Ibotta for cash back on groceries. Ask to use competitor coupons. Follow store-specific Instagram and Facebook deal accounts. Meal prep your own convenience foods. Use a credit card that gives cash back on groceries. 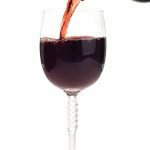 Stock up on multiples when you catch a sale. Look for a reduced rack. Do you love to cook ethnic dishes that require lots of spices? Do you go through so much laundry soap that it’s easier to buy in bulk but you don’t feel like lugging each massive container home from a warehouse store? Online grocery shopping was made for you. At my grocery stores, specialty spices come in small sizes and the price is expensive. I can get a larger container online at Amazon than I can in the store and they deliver it to my house. I also shop Amazon for groceries that have been discontinued at my local grocery but are still available online. You can get another 5% off your Amazon purchases if you select the Subscribe & Save option. We also eat a lot of keto meals and need a lot of keto groceries and supplements. Frequently, I can snag additional savings with Ebates of 1-5% off. Right now, Ebates is even running a 2.5% off of Amazon groceries. Ebates is the best cash back shopping site; simply install the Ebates extension in your browser and every time you visit a grocery or other shopping site that uses Ebates, it’ll pop up to notify you to activate your savings. You can slash an easy 2% off of every online grocery purchase you make! It’s hard to believe, but many people don’t take this simple first step – obtain a grocery store savings card. Once you have a card, your grocery store may even mail special money-off coupons to your home. Many of the member-only discounts advertised on the shelves of the grocery store are only available with a store card. 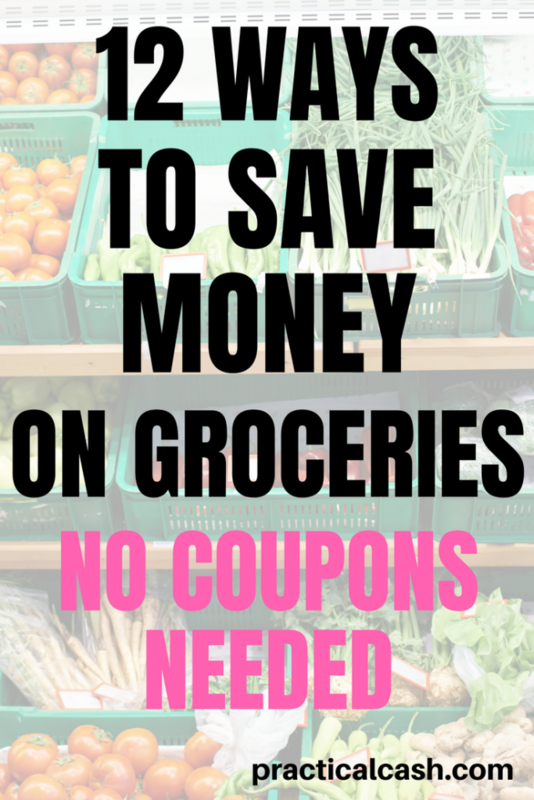 This is one of the best ways to save money on groceries and also one of the easiest. Many grocery stores also have apps that allow shoppers to download special digital coupons that are linked to your store loyalty card. You simply download the app, enter your store card number, and then click to add the coupons you want to use. Then, when you scan your card at the store, your coupons automatically come off your bill. You can score some great grocery freebies this way, too. My store routinely offers yogurt, cat treats, and chocolate bars free with the use of their app and your store card. Ibotta is an amazing coupon free way to get cash back on your grocery bill. You’ll get cash back every time you purchase an item and scan your receipt. Then you can have the savings sent directly to your Paypal account! Ibotta is super easy, and you can even get a free $10 with Ibotta if you’ve never used it before. All you have to do is snap a couple of pictures and push a few buttons on your phone. 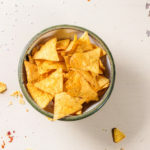 OK, I said this article would be about how to save without clipping coupons. Technically, you wouldn’t need to clip this – you could simply rip it out of the paper or take the whole ad with you. Grocery stores are usually in serious competition for profits. So, for example, when Store A puts a $10 off a $50 or more purchase, Store B (your store) may be willing to match the savings. All you have to do is take the ad or coupon to the customer service desk of your store and ask if they’ll honor it. In many cases, the answer will be yes. Instagram and Facebook are all about sharing – and that includes deals at your favorite grocery store, too. I shop at an East Coast chain called Giant/Stop & Shop, so I follow many Insta accounts with the hashtags #giantdeals or #stopandshopdeals. So many times I’ve seen amazing clearance and discount deals in my Insta feed – I simply save them and check my saves at the store to see if I can snag the deals myself. Do you meal prep? Simply put, it’s simply cooking a bunch of your weekly meals at once and reheating them to eat throughout the week. It’s great because it cuts down on cleanup and it also avoids food waste. If you’re anything like me, you’re prone to skipping dinner or lunch prep because you don’t feel like it at the end of a long day. Meal prepping is tons easier if you have easy to reheat containers for your meals. The ones I use are also dishwasher and microwave safe. Simply do your prep, dish each portion into the containers, and slide into the fridge. You can toss them easily in a bag to take in the car or on the bus. You can find out more about budget meal prep tips here. Want an easy way to save money on groceries, week after week? Instead of using cash or a debit card for your groceries, choose a cash-back grocery card that gives you money back every time you shop. 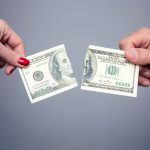 You won’t save money if you overbuy, but if you happen to find a sale price on something you buy every week or month, purchasing multiples of an item can save you cash (if you have the storage space). 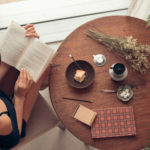 Stores tend to run sales in 3 or 4 month cycles, so if you purchase enough for that time period, you can always be assured of getting the best price. Cruise right on by the picture perfect produce arranged in towers and hit up the reduced price rack to score some serious savings. My store often has marked down fruits and vegetables that are due to be pulled from the aisle, so they’re offered to customers at a reduced rate. You can often get what you need for 50% off or more. Stores also typically mark down meat and bread to move product that’s close to expiring. Meat and bread are so easy to freeze that it’s great to stock up when you see a heavy discount. Does your store offer a discount for using cloth bags? In my area, discounts range from $0.03 to $0.10 for each reusable bag you bring for your groceries. It’s not much, but it’s an easy discount! You can store the bags in your vehicle so you’re never without them. Here are the bags I like to use when I’m at the store (below) – I also bring reusable produce bags so I’m not adding to the waste stream with disposable useless bags. Check your receipt as soon as you leave the checkout. Just last week, I hit the store for my weekly shop. As I was bagging using my reusable bags and the cashier read out the total, I thought it sounded high. Once I paid, I pulled off to the side of the aisle and realized why – he’d accidentally double charged me for two pizzas instead of the one I bought. I immediately returned to the customer service desk for a refund. Probably 20% of the time, I find an error on my receipt when I shop at that store. The trick is to catch it before you get home and find it too much of a hassle to return. Just take a minute to check your receipt every time you shop and you’ll score yourself some savings. 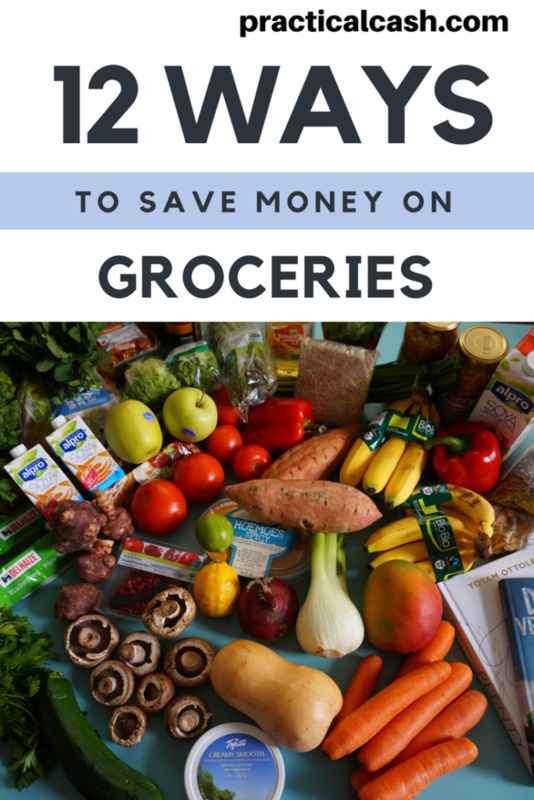 How do you save money on groceries for your yourself and your family? Leave a comment below on your grocery saving tips!